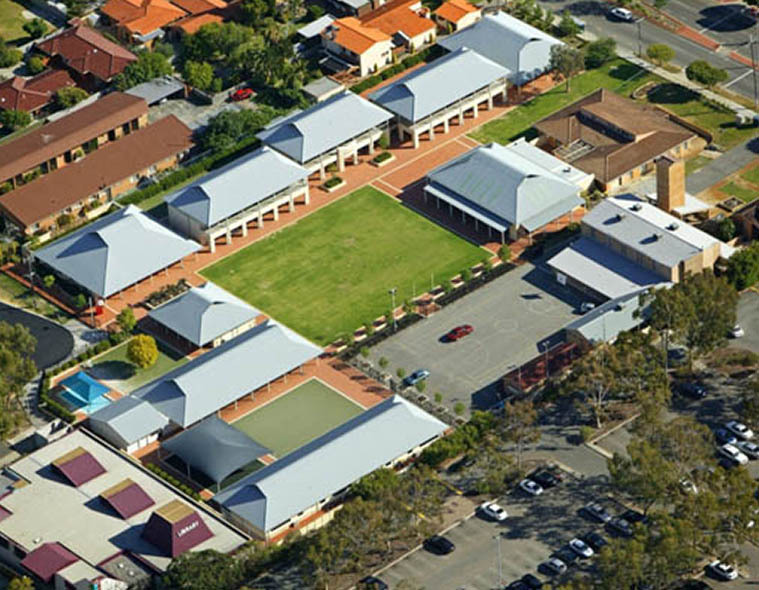 The Master plan for the redevelopment of the existing campus of the Our Lady’s Assumption school in Dianella, Western Australia, involved the staged redevelopment of the entire occupied site over a 6 year period in order to bring the school up to current educational and building standards. 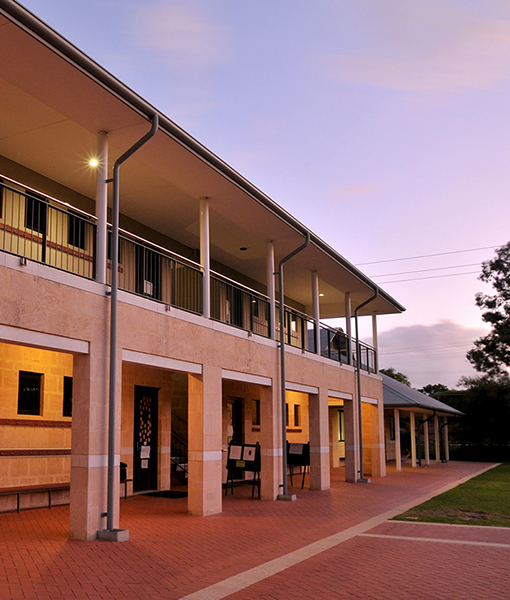 The site Master plan maximises open space on this very small 1.2ha site, while providing key facilities including a Library, Administration block, Covered area, Early Childhood Centre and middle and upper Primary School. 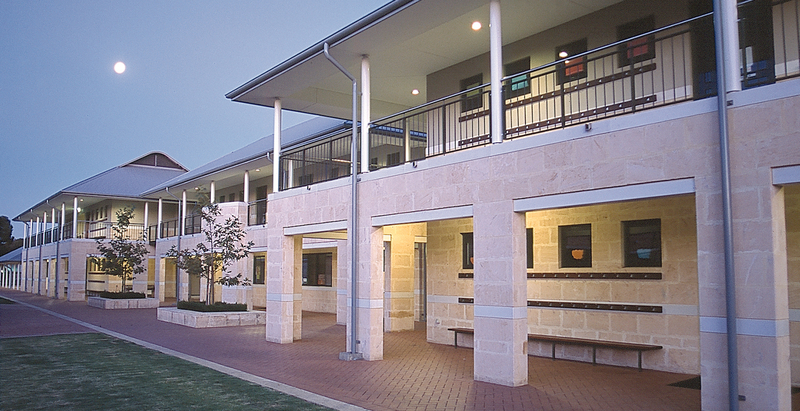 The campus was refreshed with a new palette of materials including natural limestone walls, precast concrete copings, steel balustrades and steel roofs. 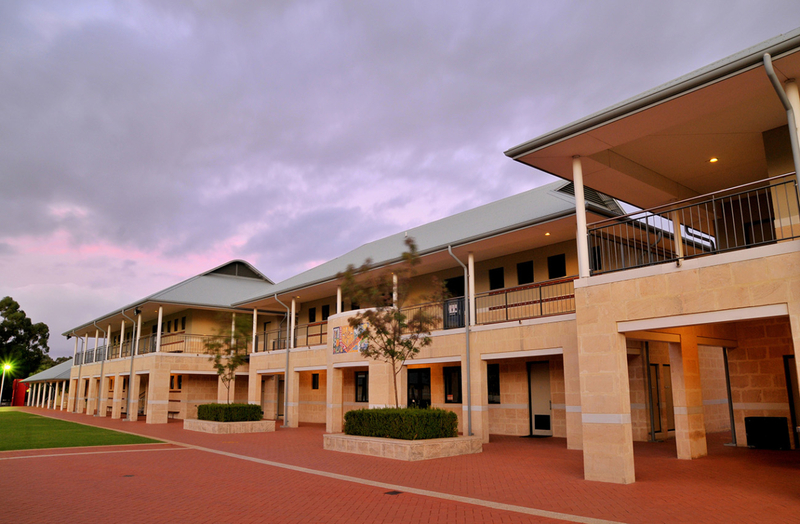 The campus is designed to be of an appropriate domestic scale for the young student age group and give a village, community feel to the site. The small site required the provision of double storey buildings. These are however broken up into smaller elements linked by delicate timber bridges. Wide verandas and balconies provide a feeling of light and space and provide covered areas for circulation and meeting. 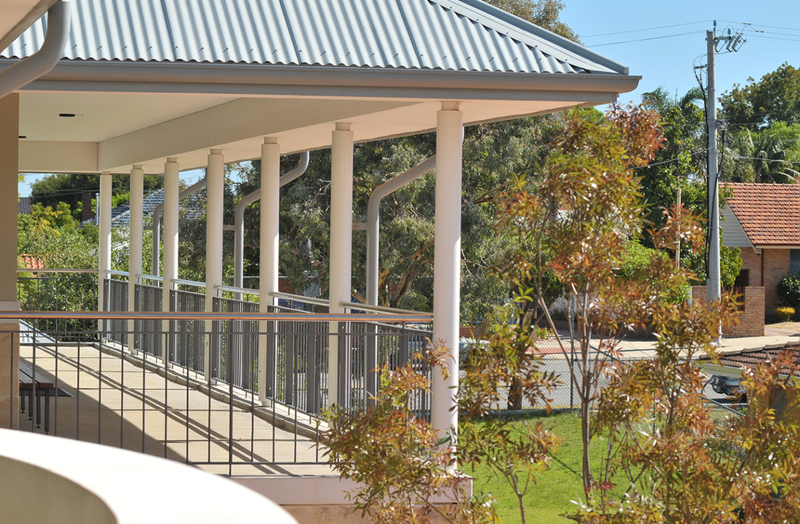 Verandahs and sunscreens provide sun shading for the windows and the buildings are designed to passive solar principles so that artificial cooling from air conditioning is not required. This project was the recipient of the 2002 Master Builders Award for Excellence in Construction.